Steel Specialties was founded in 1987 and has since played a key role in the El Paso community. As a structural steel supplier, we grow as the city grows. Within the last decade, our company has been apart of numerous large and midsize construction projects. With 2018 coming to an end, we thought it would be nice to take some time to reflect on the sites we helped complete and their special role in the Sun City. You’ve likely heard of these places, have perhaps been to one of two of them. But if you haven’t, the next time the name comes up, you’ll have an insight into the building that others may not. Now known as the Home of the Chihuahuas, El Paso’s Triple-A minor league baseball team whose season started in 2014, Southwest University Park quickly became a city staple and a must-see for residents and visitors alike. The land in which Southwest University Park sits was El Paso’s former City Hall. Many residents opposed to the demolition, which caused a fight among many of the city’s officials and one went as far as filing a lawsuit to stop them from using this land. El Paso’ former mayor Ray Salazar filed a lawsuit to stop the demolition of the old City Hall alleging that the city officials were misusing public funds. Depending on what side of the argument you fell, you were either pleased or upset that the project would move forward since the lawsuit was dismissed in court. Today, Southwest University Park which has a capacity of 9,500 and 7,500 fixed seats is used primarily as a baseball park but also hosts other events such as festivals, marathons, weddings, and parties. We’re proud to have contributed to this monumental project! Our city’s education programs and schools have improved at every level over the past decade, especially at the collegiate level. One of the schools that has seen tremendous growth is El Paso Community College (EPCC), which was established in 1972. Since the 70s, the school’s certifications and degrees have expanded to include subjects in the arts, humanities, business, education, health sciences, industry and manufacturing, public service, science, technology, engineering, math, and social & behavioral sciences. The school now offers over 130 programs. In 1999, the school of architecture introduced a new transferrable degree that would replace the old one, giving students interested in the program an opportunity to choose a field of study within the plan. It was announced in 2005 that EPCC and Texas Tech would create a partnership with Texas Tech to establish a four-year degree in architecture. Soon after, the school began making plans to expand its architecture building to meet the program’s needs. The building is located on EPPC’s Valle Verde campus and reflects the progressiveness of the school and program. 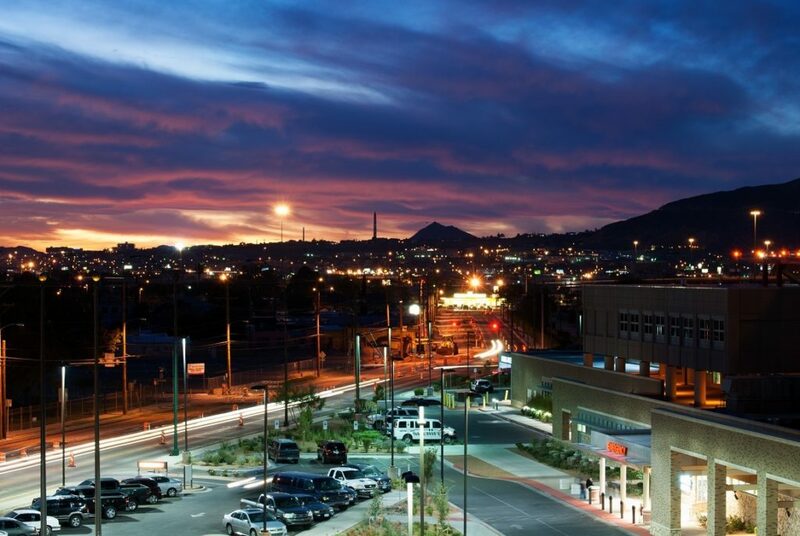 El Paso’s growth, as well as the surrounding areas, show no signs of stopping. Here at Steel Specialties, we’re excited to be a part of new construction projects that will quickly become imminent buildings, hotels, or baseball parks. We’re excited about the new year and the opportunity to contribute to construction projects of all sizes! If you’re a builder looking for an experienced structural steel supplier, connect with us today.